An economical series of worm motors, the BS series is a great solution for those looking for easy installation in tight fitting places. These motors are designed to take up minimal space and be used for size-sensitive applications.The motors are very reliable and efficient; they include all standard features, along with top quality precision and power. Hollow shafts are available through the whole product line of worm gear motors. They are available in even the smallest sizes for easy cost effective application. 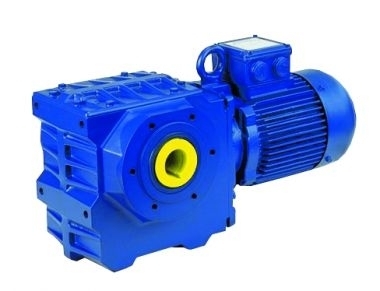 These motors are designed to fit perfectly for your size specific job. When working specifically with these motors, you are only looking for top quality products. It's essential that your production line continues to operate at it's highest potential for efficiency. That's why we can safely recommend the BS Series of Gear Motors for such an application. You won't be disappointed by the resilience our BS Series of motors demonstrates in production.